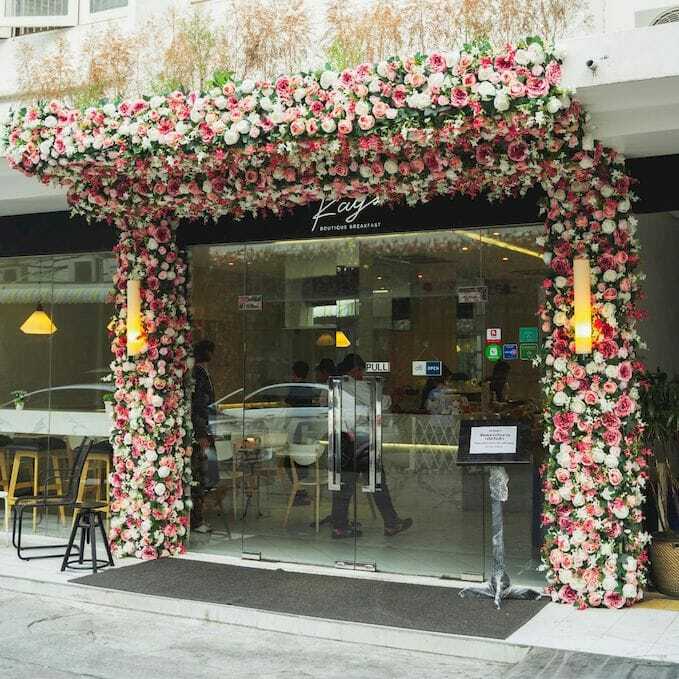 One look at Kay’s Boutique Breakfast’s location tag on Instagram and you’ll be itching to make a quick trip down to Bangkok for some R&R cafe-hopping at this ethereal-looking cafe. 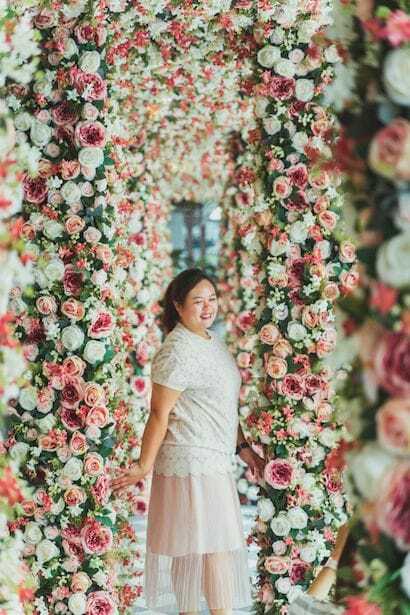 Covered in over 20,000 pastel pink and white flowers in full bloom, its stunning corridors almost look like a magical passageway that came straight out of a fairytale. 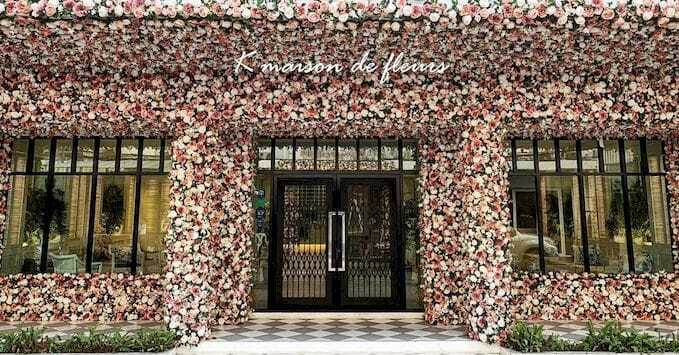 Only available till 28th February, the flower facade is actually part of K Maison Boutique Hotel, in which the cafe resides at. 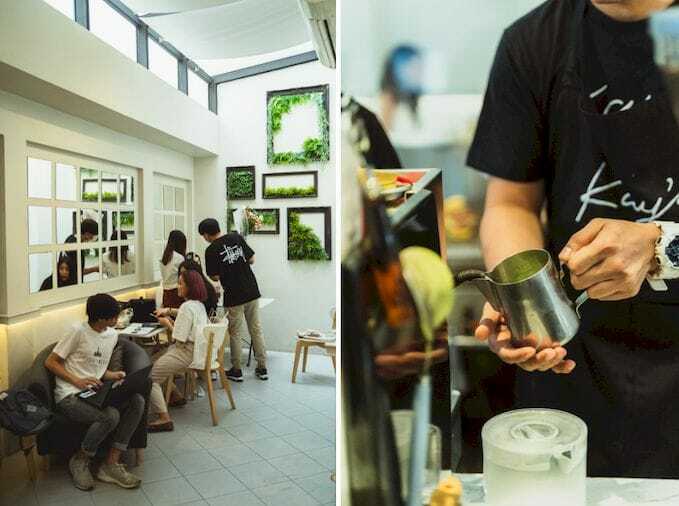 Needless to say, it has already garnered quite a bit of attention for being such an Instagrammable #OOTD backdrop, but don’t worry if you’re concerned about having to fight off photobombers – the cafe opens as early as 6.30AM every day, so just wake up a little earlier to beat the crowd! As the saying goes, the early bird catches the worm. 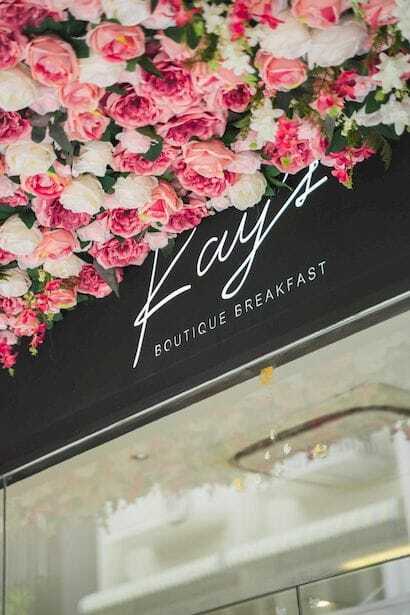 As an added bonus, Kay’s Boutique Breakfast is also walking distance from both shopping hotspot Pratunam Market and iconic tourist attraction Victory Monument. 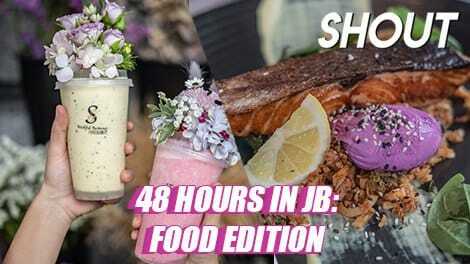 Specialising in breakfast and all-day brunches, this makes it perfect as a pitstop to fuel up for a day of shopping and recharge whenever you need to rest your legs. 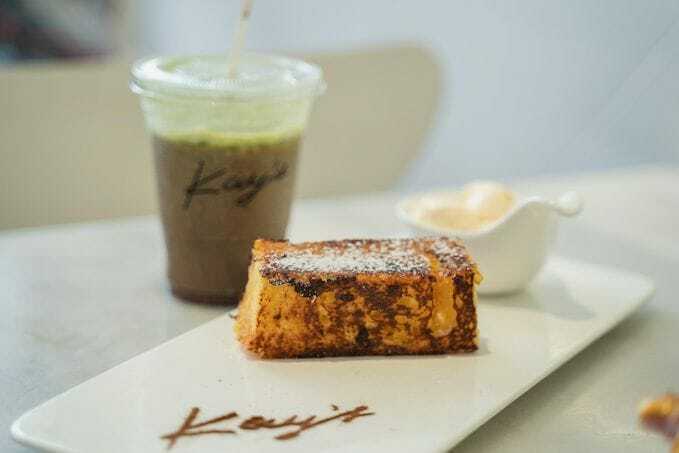 While they have granola bowls, salads, breakfast platters, and pasta for you to choose from, their signature item is their french toasts, which are thicker and fluffier than most. 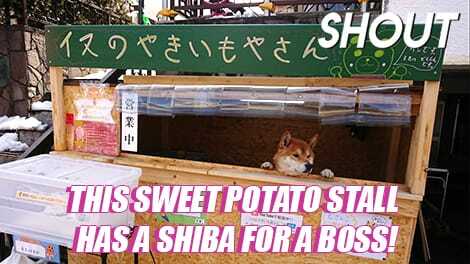 Think usual french toast meets Shibuya toast! 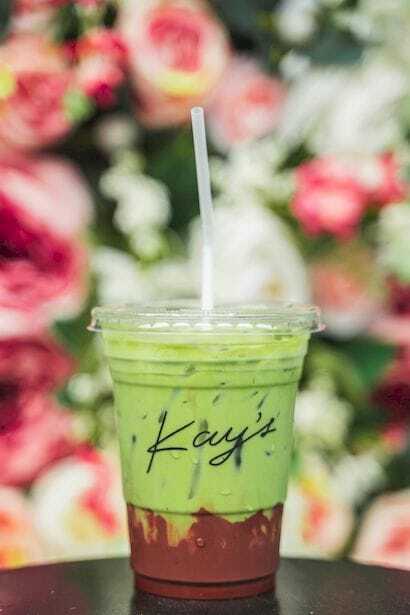 Decadent flavours include Thai milk tea, matcha, Belgian lava, and even sweet-savoury fusions like banana and almond cream fillings with bacon bits and cashew nuts sprinkle. 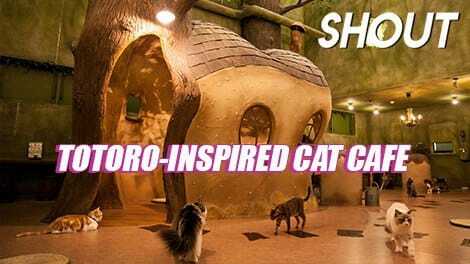 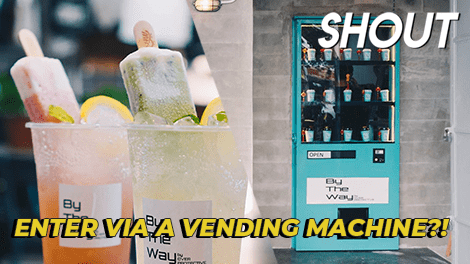 Those who aren’t hungry can also opt for either a coffee, smoothie, or milkshake, which are – you got it – just as photo-worthy as the gorgeous decor! 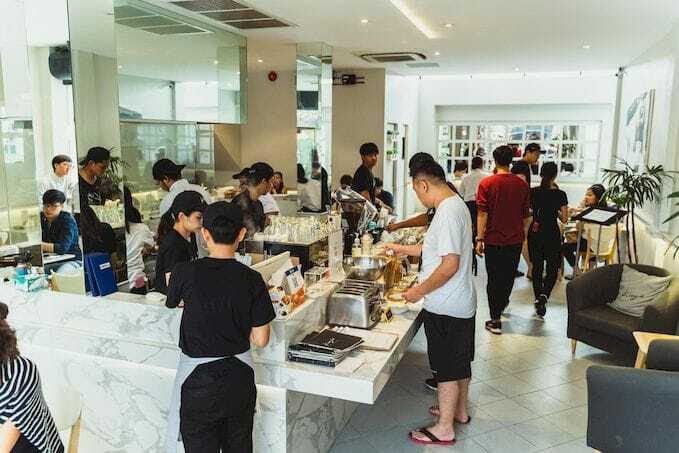 I Got My Hair Washed With Eggs At Prep Luxe Salon – Eggcellent Or Nah?